The Pecos National Historic Park, 30 miles east of Santa Fe, NM, has been awarded $1 million in funding to update their visitor's center, to be completed over the next three years. 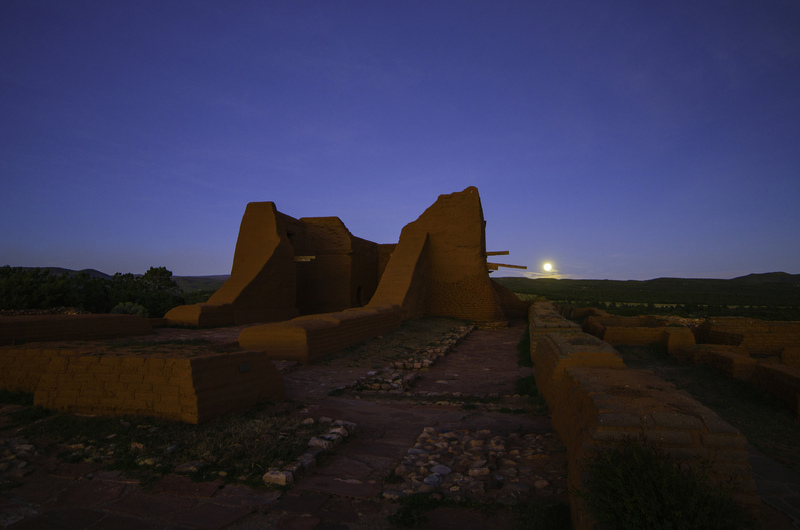 Becky Latanich, the park’s chief of interpretation and education, told the Albuquerque Journal that the goal is to appeal to a broader audience, including children, with more interactive exhibits and greater coverage of modern history. The center's timeline exhibit covers key historical events, such as the civil war battle which occurred at nearby Glorieta Pass, but ends at 1888. They plan to include recent history such as the beginnings of Route 66. The center will also become more handicapped-accessible. The Routed 66 Tour, a Route-66 themed community comedy tour and cross-cultural film project, is set to take place this summer, beginning in Los Angeles on June 21 and culminating in Chicago around July 13. The main theme of the tour is healing through laughter, featuring Dr. Brian King (American comedian and psychologist), Central Australian comedian Jacci Pillar (comedian and anthropologist), and sound effect guru and disability advocate Tim Read. They want to highlight the difficulties regional towns face along the Mother Road that have been bypassed by modern highways, and also the strategies these places have used to persevere and keep on laughing. The Tour is still looking for other venues along Route 66. More info can be found at the Routed 66 Facebook page. 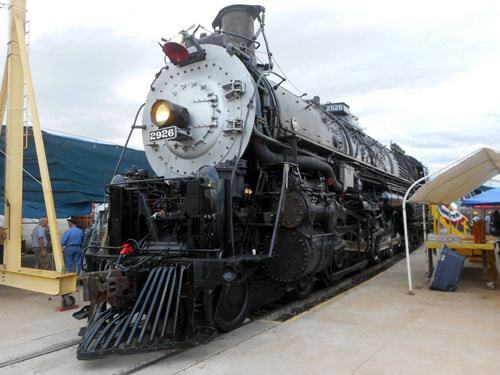 The Santa Fe 2926, a steam locomotive that transported freight and passengers from Kansas City through Albuquerque to Los Angeles and San Diego between 1944 and 1953, was donated to Albuquerque in 1956 for the city's 250th anniversary. It stood for many years in Coronado Park until the New Mexico Steam Locomotive & Railroad Historical Society bought the locomotive from the city for $1 in order to restore it. According to the Albuquerque Journal, the society has spent 15 years and $2.8 million to get the Santa Fe 2926 steaming again. They hope to have it running by 2019, and will begin with a trip to Las Vegas, NM. The long-closed Castaneda Hotel in Las Vegas, a century-old Harvey House owned by Allan Affeldt (owner of La Posada Hotel in Winslow, Arizona), is also being renovated, with plans to reopen in 2019. 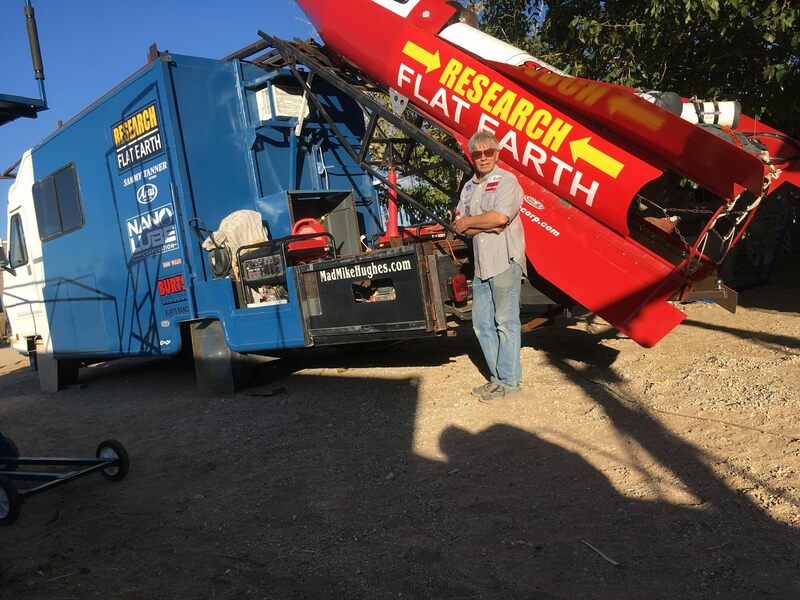 “Mad” Mike Hughes, daredevil and Guinness World Record holder, had planned to launch a self-made, steam powered rocket near Amboy on February 3rd. An earlier date was denied by the U.S. Bureau of Land Management, so Hughes moved the launch to private land. Amboy owner Albert Okura gave permission for the launch and also sponsored the event. Hughes planned a vertical launch, expected to rise 1,800 feet in the air at a speed of up to 500 mph, with a parachute bringing him back to Earth. After the rocket failed to launch on February 3rd, Hughes speculated that it might have been a seal problem or the actuator. The event was aired on Noize TV, and in an interview with the network after the failed launch (posted to YouTube), Hughes is clearly upset that the launch had to be cancelled, hypothesizing that it could have been a number of technical issues but he wasn't exactly sure. "I'm only just one man," he says. No reschedule date has been announced so far. Hughes is a "flat-earther" and plans to run for California governor. Big Brutus, a gigantic electric coal shovel that’s become a sidetrip for Route 66 travelers in Kansas, was designated to the National Register of Historic Places on January 5th, 2018. 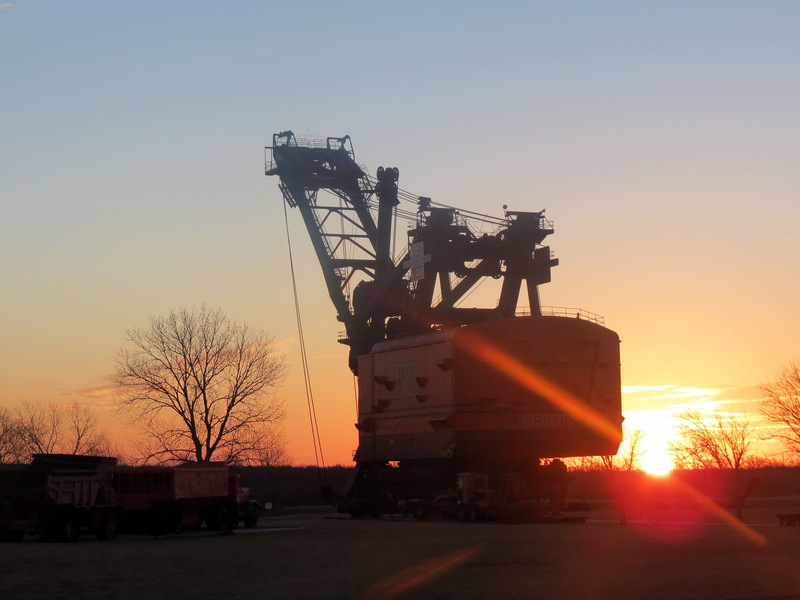 Big Brutus is a Bucyrus Erie model 1850B and is the largest surviving electric shovel in the world. It stands nearly 16 stories tall, weighs 11 million pounds, and can be seen for miles. Big Brutus is located in West Mineral, Kansas, about 30 miles from the Route 66 town of Riverton, and has its own souvenir shop and museum dedicated to the landmark and southeast Kansas’ mining heritage. It’s unusual for a machine to be named to the National Register, but Big Brutus is so massive and unique, it’s become a destination in its own right. 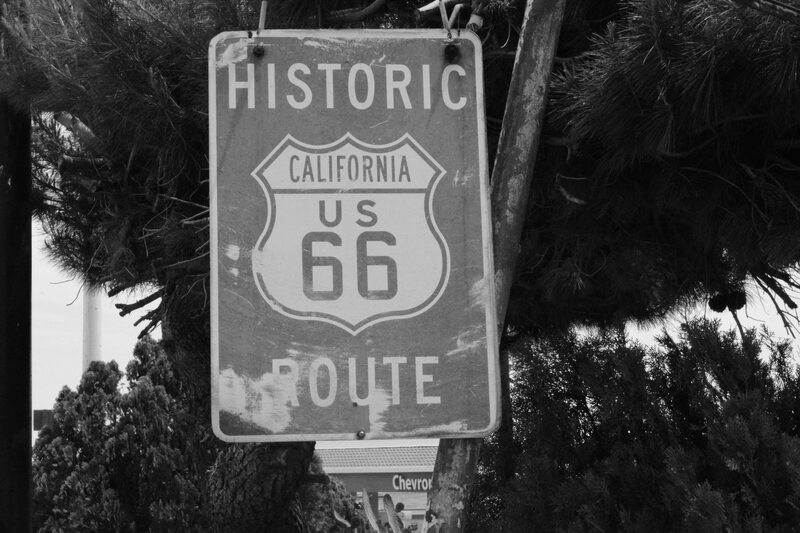 On January 10th, a U.S. House of Representatives committee unanimously passed a bill that would federally designate Route 66 as a National Historic Trail. The National Resources Committee advanced H.R. 801 to the full House of Representatives. It can become law if the House and Senate pass it before the end of the year. The bill was introduced in February 2017 by Rep. Darin LaHood (R-Ill.), with Reps. Rodney Davis (R-Ill.) and Grace F. Napolitano (D-Calif.) as original co-sponsors. As of January 10th, the important measure totaled 21 co-sponsors. Lawmakers seem motivated to act because of Route 66’s upcoming 100th anniversary in 2026, and the end of the Route 66 Corridor Preservation Program in 2019. Sisters Yvette Peacock and Yvonne Braziel, joint owners of Del’s Restaurant and Kix on 66 in Tucumcari, New Mexico, announced Tuesday that they are ready to retire and have put the beloved Route 66 restaurants up for sale. Del’s has been one of Tucumcari’s most popular lunch-and-dinner spots for decades, and Kix also has become a popular breakfast-and-lunch destination on Route 66. 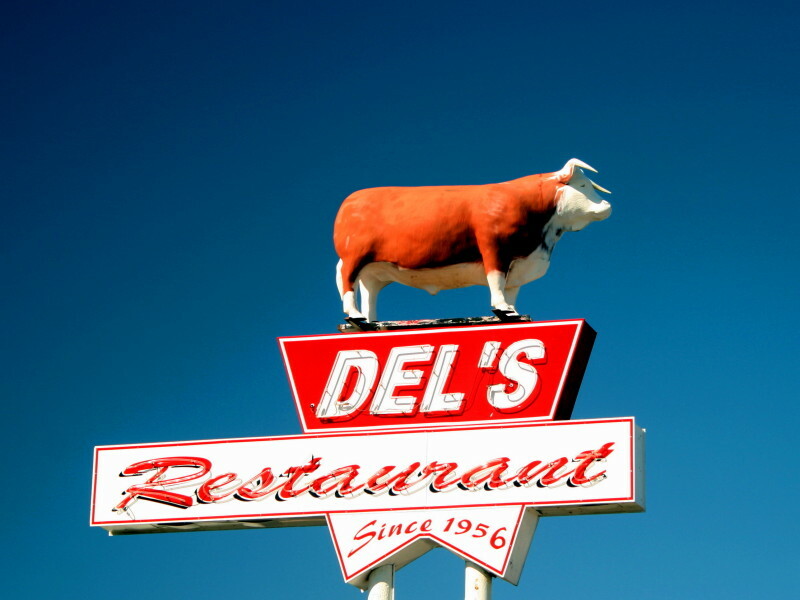 The sisters took over Del’s in 1995 and later opened Kix on 66 in a former Denny’s restaurant. Two area businessmen purchased the Classen Circle business complex in Oklahoma City a few months after the historic site was slated to be torn down to make way for a Braum’s ice-cream and grocery store. Nearly 14,000 people signed an online petition opposing the plan to demolish the site. The complex, also known as the Donnay Building, holds the historic Hi Lo Club, the Drunken Fry, Charlie’s Records and the Classen Grill. The new owners want to restore the property to its vintage Americana roots. The Donnay Building was originally constructed in 1948. According to Jim Ross’ book, Oklahoma Route 66, Classen Circle sat on a 1950s alignment of Route 66. Current-day Oklahoma Highway 66, overlaid onto Interstate 44, also sits nearby. An 11-acre site near the ocean in southeast Long Beach, featuring a sprawling, run-down hotel is to be replaced with a $100-million outdoor mall. The upscale development, called 2nd & PCH, will focus on providing experiences instead of goods, highlighting food and leisure over stores and boutiques. 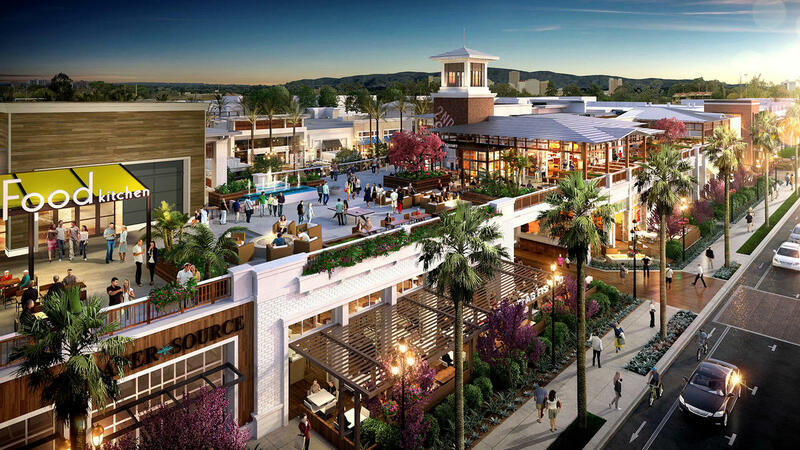 “We’re trying to reflect the changing tastes of consumers,” said Fred Bruning, chief executive of CenterCal Properties, the El Segundo company building the Pacific Coast Highway mall. To that end, 2nd & PCH will have deep outdoor roof decks with views of Alamitos Bay Marina and the Pacific Ocean, where visitors can have a drink or a meal, lounge or perhaps do yoga. The center is expected to open in spring 2019. Sourced from the Los Angeles Times. Photographer Edward Keating, who won the Pulitzer Prize for documenting the September 11th, 2001, terrorism attacks in New York City, announced that he will soon publish a book of his Route 66 photography that he has compiled over the last 17 years. The book, titled "MAIN STRƎƎT," will be published by Damiani, an Italian art-book publisher, in September. 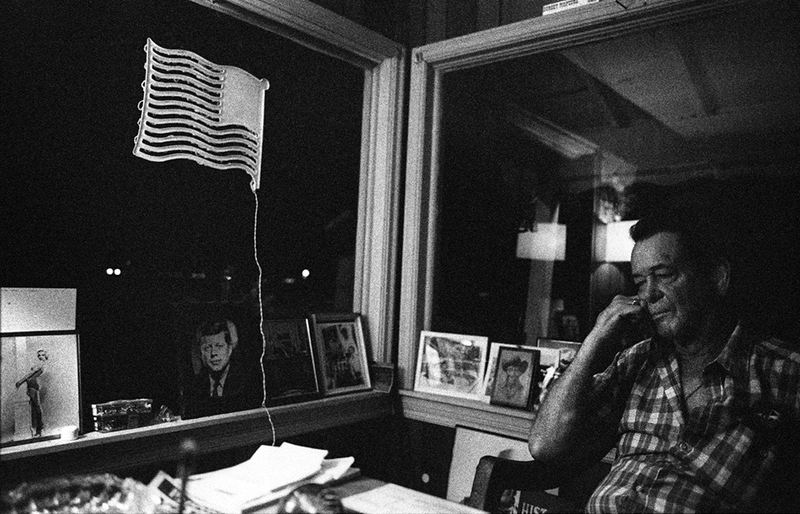 The long journey to compiling a Route 66 book began when Keating wrote an essay about the route in New York Times Magazine in 2000, about how a road trip on the Mother Road eventually led to his kicking a bad drinking problem. 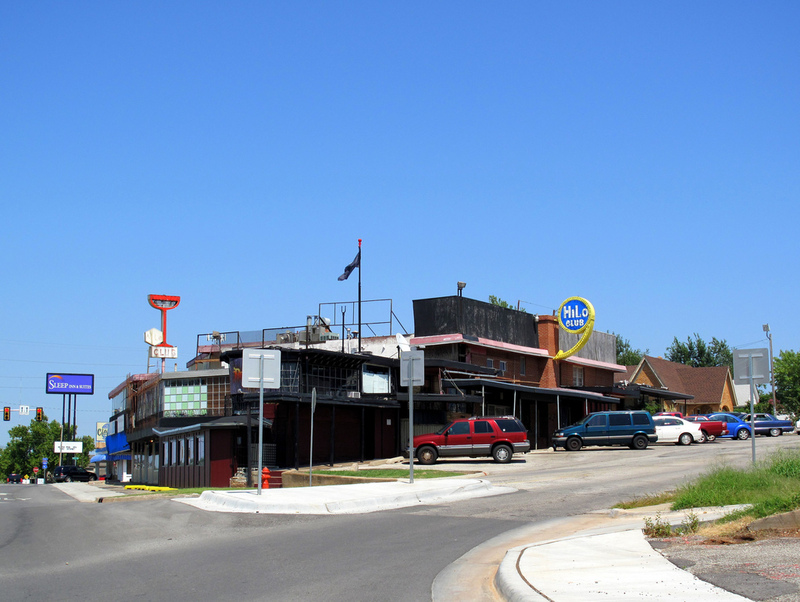 The city of Strafford, Missouri, is constructing a Route 66 Historical Park next to City Hall, along with a visitors center. The city's website states that the center will feature the re-created Frisco train depot, that will contain a visitors center with historical information. Other local Route 66 icons prominent in Strafford's history, the Bumgarner Store and Delp Hotel, will also be re-constructed. The park will provide a focal point for Route 66 tourists, offering a nostalgic environment with rest-stop amenities. The city hopes to have the first phase of the project completed sometime in 2018. The city council of Williams, Arizona, recently passed a resolution that opposed congressional legislation that would designate Route 66 as a national historic trail. It’s a bit surprising that the first town to formally oppose the legislation was Williams — a Route 66-supporting town that was the last city to be bypassed by Interstate 40 in 1987. Of concern was the fact that in the legislation, the government wants the authorization to buy land within a quarter mile on either side of Route 66 if it receives the designation. Bill Thomas, chairman of the Route 66: The Road Ahead Partnership that’s lobbying for the Route 66 Historic Trail legislation, responded that "The authority to purchase land has been in every bill designating National Historic Trails over the years. There has, however, never been any use of this authority along any National Historic Trail. The key to this portion of the bill is that its language expressively forbids the Federal government from purchasing land, except from a willing seller." The city of Williams is continuing to examine the issue. A video from the Women on the Mother Road project by filmmaker Katrina Parks contains an interview with the one of the Troups’ daughters, Cynnie, who noted that her mother should have been Bobby’s manager, and had more to do with the success of her husband than most people know. She helped manufacture his image, helped him book gigs, and assisted with songwriting. And she probably should have received partial songwriting credit for “(Get Your Kicks on) Route 66”. Fran Houser, who owned the Route 66 restaurant and gift shop in Adrian, Texas, for about 20 years, wrote on Facebook: "It is my pleasure to announce that the new owner of the MidPoint Cafe and Giftshop is Brenda Hammit of Adrian! Thrilled to have her as the new owner. She’s worked at Stuckey’s in Adrian for several years, joined the Cafe family about five years ago and has a love of Route 66." Midpoint Cafe co-owner Dennis Purschwitz said he wouldn’t reveal its new owner or owners until Spring, not confirming or denying that Hammit would be the new owner. All news and copy for this page has been sourced, created and written bywww.route66news.com. Revisions to text have been made in some instances by ROUTE Magazine. For more great news and information on the old road, check out Route66News!